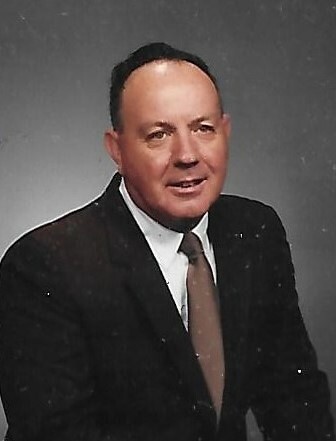 Hagerstown, MD – Thomas Joseph Bowers, 87, of Hagerstown, MD passed away on Saturday, January 19, 2019 at his home. He was born on December 29, 1931 in Washington, D.C. to the late Raleigh W. Bowers and Julia Wolford Reisler. He was a 1950 graduate of Hagerstown High School Hagerstown, MD. He was employed by Verizon which was previously C&P Telephone as a Lineman and retired as a Field Engineer Supervisor until his retirement in 2003. He was also the owner/operator of Thomas Bowers Flight School in Hagerstown, MD where he taught flying for 54 years. He helped 152 pilots get their wings. His passion was aviation and family. He was a veteran of the U.S. Army serving in Korea. Thomas was a member of St. Joseph Catholic Church Halfway, MD. He was also a member of Local CWA Telephone Pioneers; Civil Air Patrol Hagerstown Squadron ranked as Lt. Col.; Aircraft Owner’s Pilot’s Association; Dixon-Troxell Post #211 American Legion Funkstown, MD; IORM Conococheague Tribe #84 Williamsport, MD; Experimental Aircraft Association of Washington County; Korean War Veteran’s Association; and Washington County Citizens on Patrol. Thomas was also a Past Manager of Halfway Senior League, and an umpire for Halfway Little League. He also coached in the Washington County Junior Football League and Washington County Girls Softball. He is survived by his wife of 61 years Laura Ann Grimes Bowers; daughter Joan Francine Bowers and her husband Jerred Brown of Hagerstown, MD; son John Anthony Bowers and his wife Diane of Hagerstown, MD; grandchildren Ryan Anthony Bowers and his fiancee’ Brittani Torrence and Dustin Edward Bowers and his fiancee’ Doris Barnard; most recent additions to the family additional grandchildren Gabby Brown, Jack Brown, Olivia Brown, and Kayla Hammer and her husband Rob and their son James; sister in laws Garnetta Shillingburg and Alice Grimes; and numerous nieces and nephews. He was predeceased by two brothers Lou Johns and Ned Bowers; three sisters Belle Kline, Bonnie Damuth, and Harriett Boyer. The family will receive friends at the Osborne Funeral Home 425 S. Conococheague St. Williamsport, MD on Tuesday, January 22, 2019 from 6:00-8:00 pm. The funeral home will be open after 9:00 am on Tuesday for the convenience of family and friends. Funeral services will be held at Osborne Funeral Home 425 S. Conococheague St. Williamsport, MD on Wednesday, January 23, 2019 at 11:00 am with Father Christopher Moore and Father Larry Adamczyk officiating. Interment will be in Manor Cemetery Tilghmanton, MD. Military honors will be provided by Joint Veteran’s Council of Washington County and Marine Corps League of Hagerstown, MD. A special thank you to Tom’s Angels Sherry Rourke, Jackie Myers, and Cherie Bussard. Also a special thank you to Hospice of Washington County and his primary care nurse Pam Ricker and social worker Sandy Weaver.